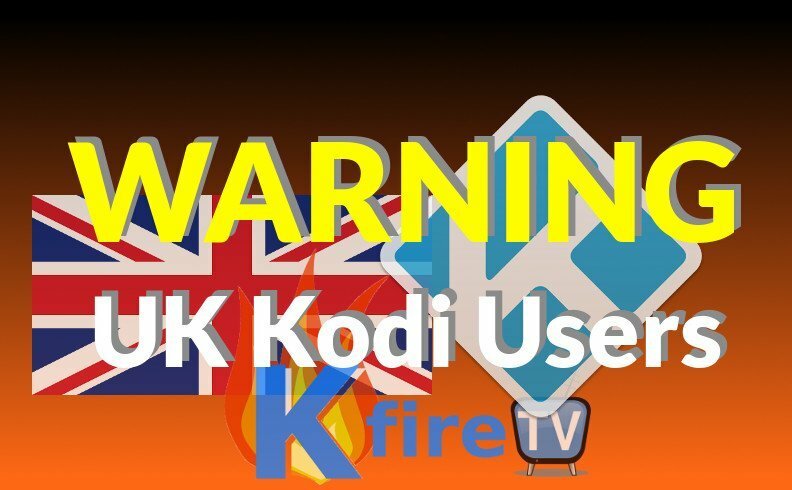 Why Are ISPs Targeting UK Kodi Users? This is pressure from media companies to reduce the amount of piracy that occurs. It all comes down to money – the media companies and artists that create content for them feel that too much of their work is obtained for free online. So the media companies then get their legal team to make trouble for Internet Service Providers who don’t censor their users’ activities and block things like Kodi (or threaten their users who do use Kodi). Basically it’s a coordinated effort by government and corporation to make more profit from UK Kodi users. If they scare people into backing away from non-corporate streaming services, such as Kodi, then the cable companies will earn more profits when many people are “forced” to go back to cable TV due to fear from legal action. Yes, there is the extremely valid argument for proper artist compensation – but it’s not the artists who are doing this, it’s the corporations. This is happening at an accelerated rate for both the USA and UK. F that. Let’s get around that shizzle, right? Fortunately, they are few and we are many. With a little bit of creative networking, we can conceal your streaming data by using a Secure Internet tunnel (aka “VPN”). This way neither your Internet Service Provider nor your government can spy on your streams and punish you for it. A secure Internet tunnel (or “VPN”, Virtual Private Network) will encrypt all of your Internet connection’s incoming and outgoing data, making it impossible for anyone but you to know what you’re downloading, torrenting, or streaming in Kodi. Then use the VPN app to connect to any VPN server that’s close to your actual physical location. This way the data has the least amount of distance to travel, which will minimize the “trip time” that data needs in order to arrive at your PC. Use your devices as you normally would! Now, any and all data sent through devices which are connected to a VPN server will be encrypted and untraceable. The VPN apps work in a way that makes it so you can use your devices normally – and the app does all the work in the background to route your data through its securely-connected servers. Additionally, you can connect to a VPN server in a country other than your own to make you appear as though you’re located in a different place (aka US TV for UK users ;). Optionally, you can set up your router to use the VPN 24hrs a day 7 days a week – or you can get an inexpensive (yet highly-rated) [easyazon_link identifier=”B01AL7P1FU” locale=”US” tag=”arizonacaorg-20″]travel router with OpenVPN capability[/easyazon_link] for $30 and use it as your “dark activities” router. This way you can just physically switch out your “normal” router with your VPN-enabled router should you ever need to “go back” to your original router setup. Or you could reset your primary router to factory default settings (little black button on the back of the router unit). Why Does KFire TV Care? We care deeply about this issue because it strikes at the heart of the principles in which we believe: freedom from censorship and government / corporate snooping on individuals’ activities (and other political issues we need not mention). This stands for the United States and United Kingdom, as both U.S. Kodi users and UK Kodi users and citizens in general face some similar problems (particularly with government & corporate issues). So, it is our mission to tell you how you can have the absolute highest level of privacy and security available to you, so you’re targeted as minimally as possible by gov’t / corporate entities. Additionally, when those entities do target you – your Internet connection will be so secure they’ll never be able to break through your encryption. This can all be solved by using a VPN (about $5 USD per month with our exclusive coupon). This will start happening again soon for USA Kodi users, too. So watch out, fellow ‘merkins. We U.S. Citizens need to start using a VPN just like our UK brothers and sisters. [easyazon_link identifier=”1505383935″ locale=”US” tag=”arizonacaorg-20″]Civil disobedience[/easyazon_link] and the “protect yourself from your government” mindset seem to be the way to get things done these days when it comes to censorship & oppression. I’ll try to end with a few gems that some other people said.. There are many benefits you’ll receive from securing your Internet connection. But the level of information privacy which you’ll achieve will be more than enough to anonymize your browsing and streaming. So don’t let yourself be targeted by your ISP – secure yourself today with a VPN!